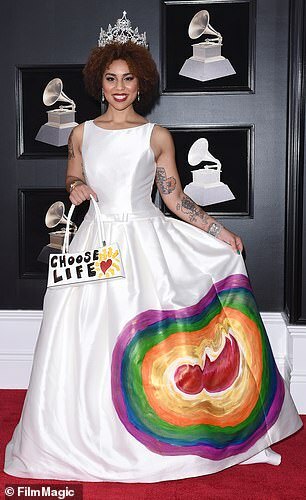 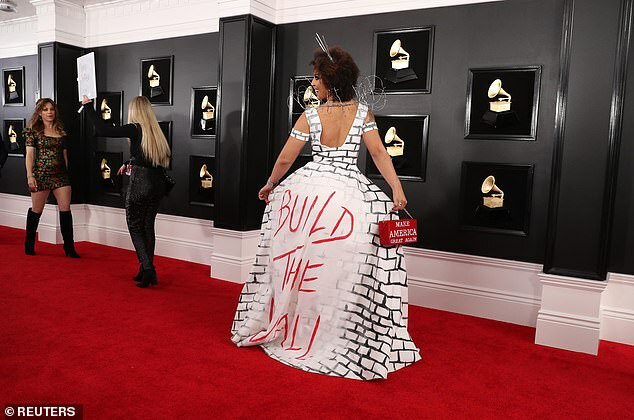 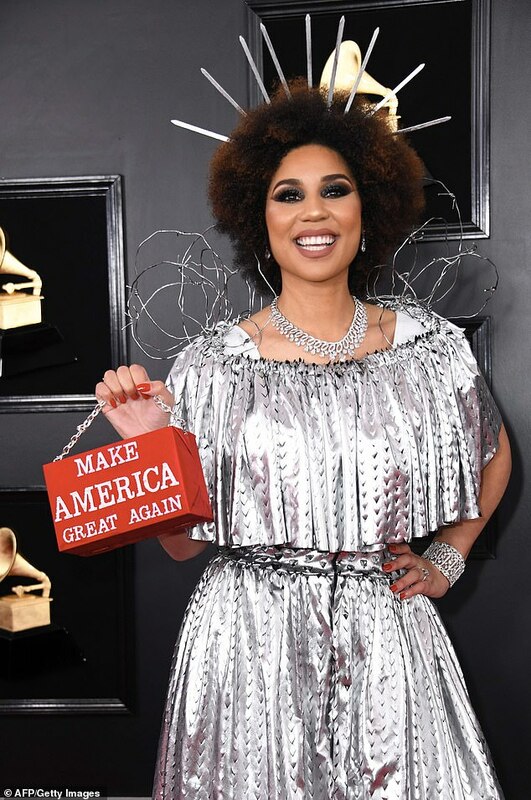 It didn't take long for the 2019 Grammy's to get political. 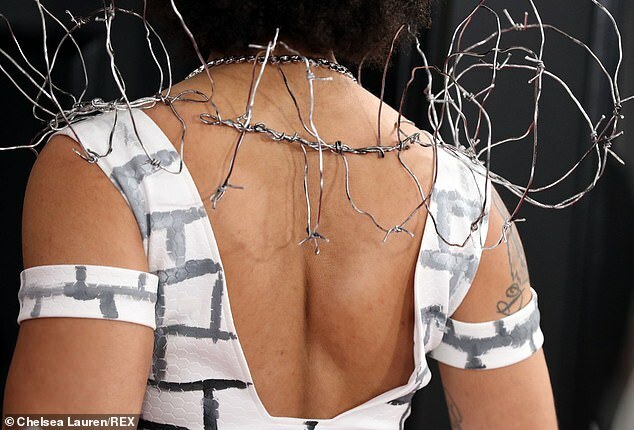 But Villa wasn't the only one to stir the couture pot. 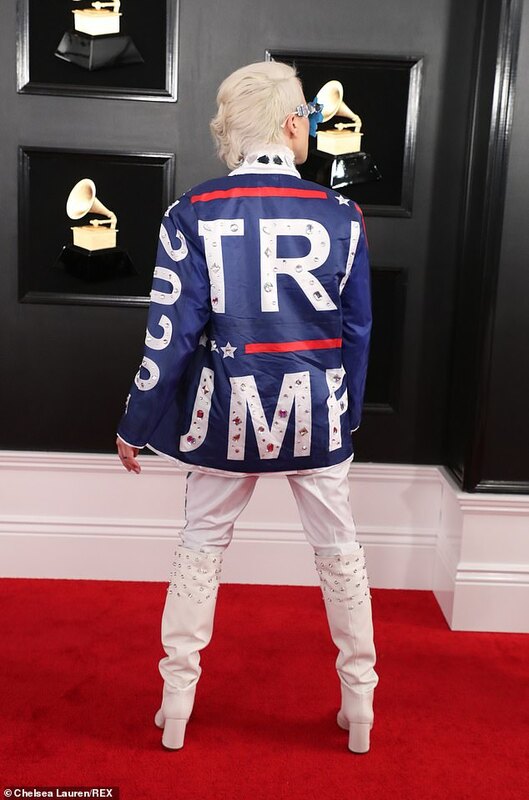 Ricky Rebel strode the red carpet in a blue jacket emblazoned with the words 'Keep America Great' and 'Trump 2020' over a white blouse, pants, and high-heeled knee-high boots. 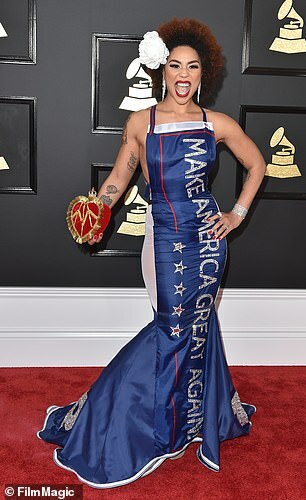 In many respects, his love of all-things Trump clashes directly with Rebel's view on sexuality. 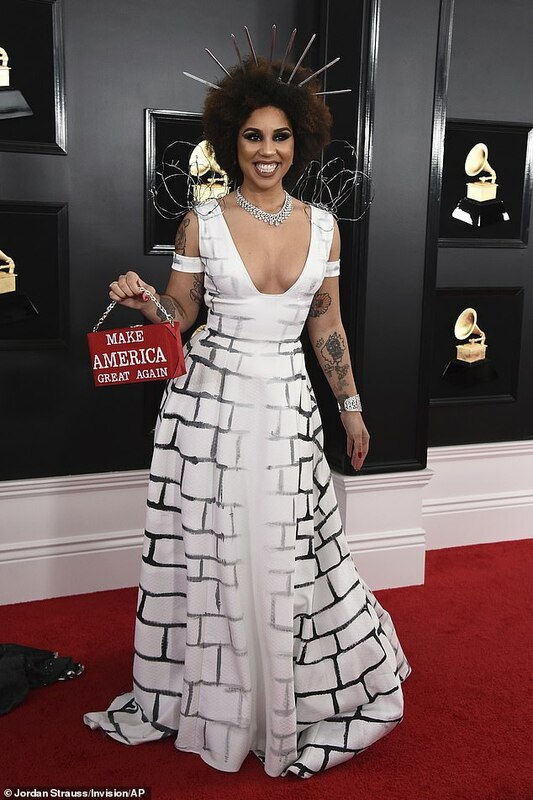 Rebel, who is bisexual, has been an advocate for LGBT rights - and something which does not appear to be a priority for the Trump administration. 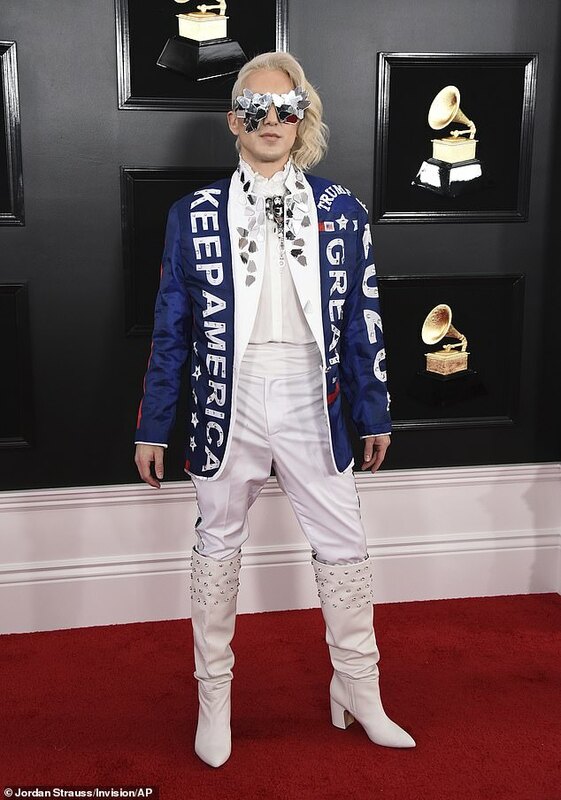 'Well, I'm Ricky Rebel, I have a new album called 'The New Alpha' so I wanted to wear something that represented what an alpha is and who an alpha is and I am the new alpha,' Rebel told ET.